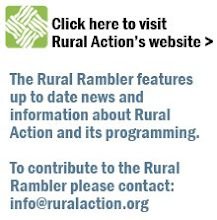 The Rural Rambler: Ohio Environmental Justice Video Contest - Register Now!! 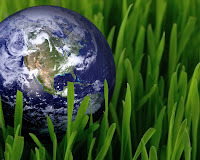 Ohio Environmental Justice Video Contest - Register Now!! Ohioans for Health, Environment, and Justice are holding their first short video contest and anyone with a camera and a passion for environmental justice in our communities is invited to submit their story. Full details below, but you better get filming, the deadline is zooming in! Videographers, YouTube Enthusiasts, Social Justice Activists, and Environmentalists! Ohio Environmental Justice Short Video Contest! Demonstrate – through stories and images – that many communities still find themselves voiceless and powerless in the system that is supposed to protect them, and that this NEEDS TO CHANGE! Bring ENVIRONMENTAL JUSTICE to Ohio. Winners will be recognized as guests of LEADING LEGISLATORS at the STATEHOUSE in Columbus at the FIRST PUBLIC showing of the videos Dinner and Discussion with LOIS GIBBS - Community Leader, Love Canal, and Founder/Director, Center for Health, Environment & Justice. Top videos will be posted on national website of the Center for Health, Environment, and Justice.